GEFONT President Cde. Binod Shrestha alertthe workers those who are trying to fail the contributory social security programs. President Cde. Shrestha said about an implementation social security programs to the participants from GEFONT 78 Enterprisesrepresentative from 7 provinces overall country. He informed that implementation in the formal sector first and then in other sector. GEFONT organized the campaign from April/ May on social security programs in coordination with JTUCC and ITUC-NAC. This is not the time for demand of rights it is time to implement gained rights. During the Program, Nepal Trade Union Congress President Mr. Puskar Acharya said this discussion program like this will help to way forward implementation. Workers must be clear in this issue and thanked GEFONT for the leading. Herequested to all participantsto disseminate the learning from the program. He stressed to pressurize the employer to participate in this program. 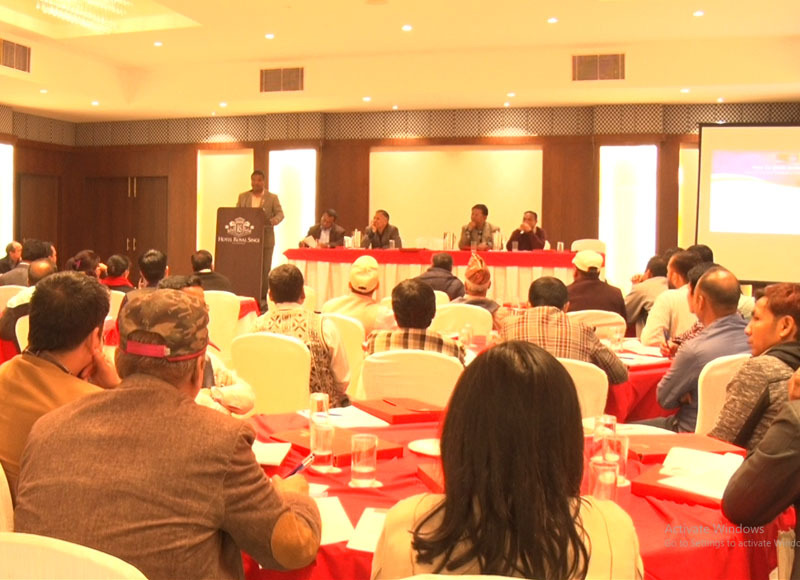 ANTUF Vice President Mr. Dhana Bahadur B.K said implementation of social security programs challengingbut the effective implementation of the labour law simplifies the implementation of Social Security programs. ILO representative Mr. Soloman Rajbanshi said without social security , decent work cannot be imagined. So these are the synonym of each other. Employers need to aware of importance of social security for increment the productivity.